Eco Saviour Team members giving visitors an explanation about their project at the Toyota Eco Youth Programme closing ceremony. EVERY Wednesday evening, Baling residents in Kedah head out for a meal, buy groceries or spend time with friends and family at Jerai night market which operates from 4pm to 8.30pm. After the many stalls close, debris such as plastic bottles, wrappers and food scraps are strewn on the ground. Days pass before garbage trucks pick up the trash. 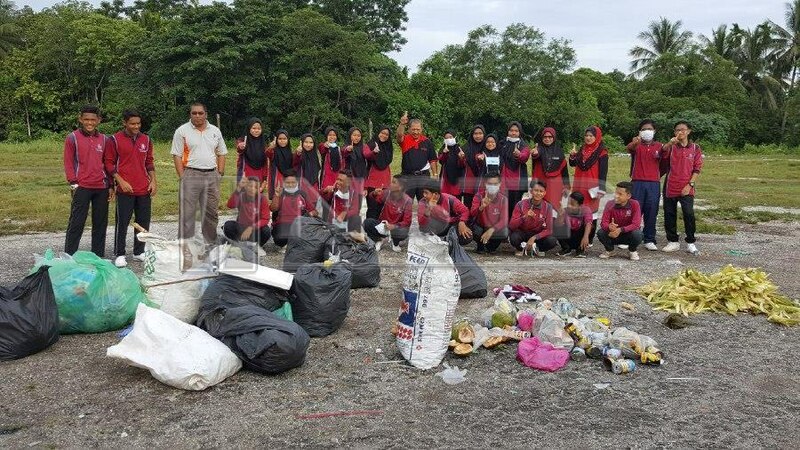 This dismal state of affairs prompted SMK Baling students to educate the community about environmental awareness as part of the Toyota Eco Youth Programme. 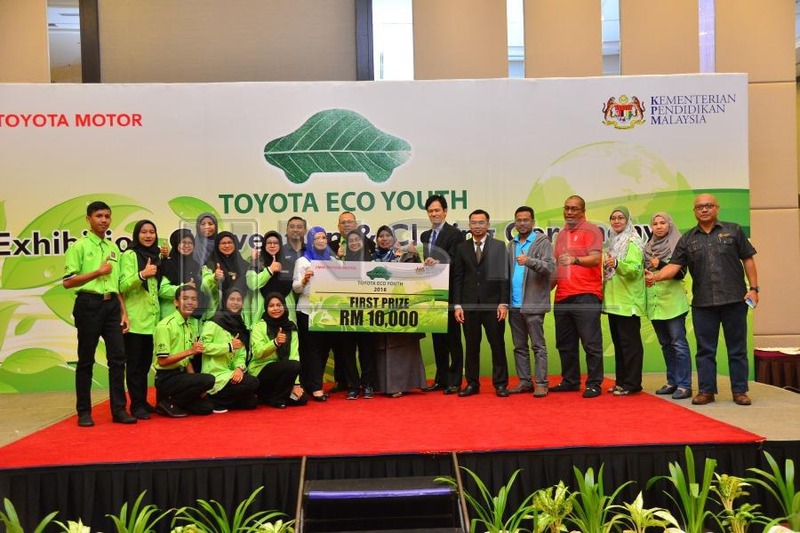 The students, who called themselves Baling Eco Saviour Team, emerged as the winner of the Toyota Eco Youth Programme, defeating 10 other participating schools. 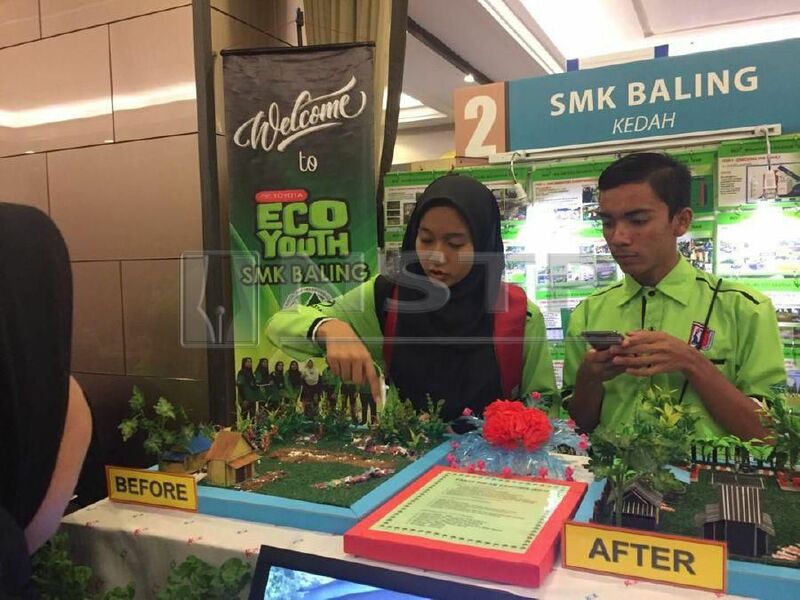 SMK Baling students wins First Prize in the Toyota Eco Youth Programme. Themed Waste Management this year, the initiative was first launched in 2001 as an environmental competition among eight schools in the Klang Valley. This year, 11 schools nationwide took part in the programme. Initially, the programme participants had to find solutions to environmental problems within the school. In 2011, the programme was extended to include the community. Students not only had to engage the community with their project but also rope in relevant parties such as non-government organisations, local authorities and academicians. Earlier this year, participating students and teachers attended a course on the Toyota 8-Step Problem-Solving Methodology ? an approach practised by UMW Toyota Motor employees to solve any problems including those involving the environment. Team leader Nur Batriesya Arizan said: “We were on our way home from a school workshop and came across the aftermath of the night market strewn with garbage. That was how the idea for the project came about. “It was an eyesore. Dumpsters were not available to dispose of the rubbish . The students were determined to tackle the waste management problem at Jerai night market after many complaints from the residents. The biggest hurdle to the success of the project was getting the vendors to cooperate with the team. “We distributed plastic bags to all the vendors in our first attempt at managing waste. Some were reluctant to cooperate and even threw the plastic bags away. That was a really heartbreaking moment for us. “However, we did not give up easily. We continued supplying plastic bags in the hope that the vendors would use them,” added Nur Batriesya. Gaining support from the teachers, residents and night market vendors, the team implemented measures including providing dumpsters and running programmes such as Gotong Royong Perdana, and the 3R and Our Waste, Our Responsibilities campaigns. By the end of the project, the team had successfully reduced waste at Jerai night market by 70 per cent. The students after the Gotong Royong Perdana. There are plans for an environmental club in order to sustain this project. “Once a month, club members will visit Jerai night market to make sure it is clean,” added Nur Batriesya. Puteri Nurul Syarafana is proud of the impact of the project. “Initially there were 83 vendors at the night market but the number has increased to 98 after the project. We hope that other night markets will be benchmarked against Jerai night market,” she added. To mark the completion of the project, SMK Baling, Baling District Council, SWCorp and Gabungan (30) Ent signed a memorandum of understanding to ensure its sustainability and a greener environment. Rozainum Ahmad, director of co-curriculum and art at the Education Ministry, attended the prize-giving ceremony of the programme. “We are pleased to see rising standards and creativity of the students over the years. From simpler projects such as disposal of used cooking oil and recycling and energy-saving initiatives, we now see more advanced and creative projects that meet the waste management theme this year,” said Rozainum. The programme, which is part of the Environment Corporate Social Responsibility pillar of UMW Toyota Motor, has since reached some 250 schools nationwide, involving 2,600 students and teachers.